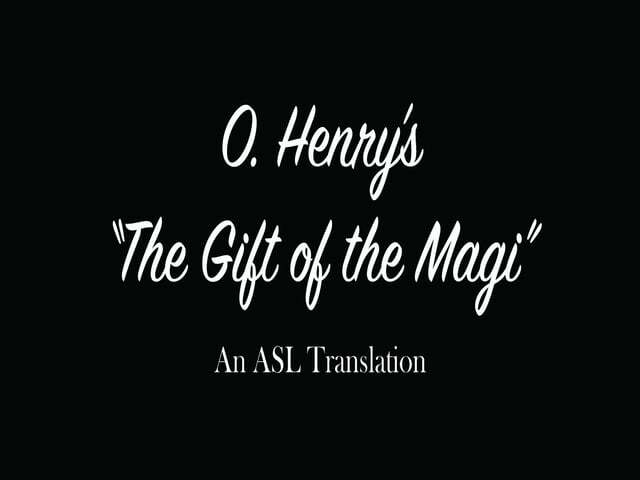 "The Gift of the Magi" is a short story, written by O.Henry (a pen name for William Sydney Porter), about a young married couple and how they deal with the challenge of buying secret Christmas gifts for each other with very little money. The plot and its "twist ending" are well-known, and the ending is generally considered an example of comic irony. I like bits and pieces of this translation, but when I get a chance to do it again, I want to do the last 5 minutes very differently. 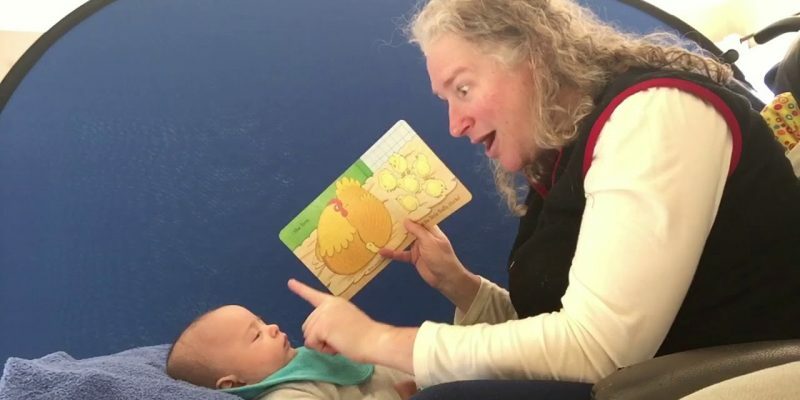 Darlene is a deaf Australian woman sharing how to introduce literacy to her hearing child. It’s about how to read a book to your baby using sign language. This was a main question I've been asked on how to do that with deaf and hearing babies using sign language. Basically, using body, visual props, simple signs and some basic noises, the baby follows you easily n interact in his way. Already recognized about 10 signs consistently at the age of nearly 4 months old. Transcript provided below. Hello I'm Darlene, and this is my baby – his name’s Torben. He is nearly 4 months old now. For past a month, I’ve started to sign the story from a book – just signing. He loves to watch me signing, as well as others too. He started to watch at the age of 2 months old, and really enjoyed watching people signing. I do not know if he understood or relate to anything we signed to him but there’s the exposure for him. I wanted to show you how I interact with Torben on a book that we read together everyday. (to Torben) are you ready to read the book? Yes! The book is called “Farm Babies” by Rod Campbell. NOTE – Torben is a hearing baby, so I use some noises to keep focus on – he prefers visuals over noises though. Those inside the brackets are the actions I did with Torben. (Taps on the book and waited for Torben to see the book and back to me before I started.) Farm (rub on tum as a sign for farm) animals… Yea! Let’s go for a walk and have a look (fingers walking up from his tum to shoulder). Look there – go for a walk and have a look (this time I added look on his cheek for LOOK). Yea… (Closes book) Oh finished the book. The reason why I am doing this is to show how to associate the signs, visual props, vocalisations and physical touches and incorporate them all into the book reading activity with the baby. This encourages the interaction between parent and baby, maintain eye contact and still allow dialogue and actions in order – babies acquired sign language in this way faster… as they understand more by association, especially when using the physical cues and repetitions. Torben, for the last 2 months, has started to recognise some signs. Starting with POO and FEED, then added more signs over the time, around 5-6 signs. Such as: FEED/FOOD, BED, POO, NAPPY, BATH, CAR, DOG, BOOK, (what more do you know… ah) CLOTHING. That’s it for now I think. So, the idea is to build up on the association of language with body as cues for locations and movements to encourage language acquisition and development for both deaf and hearing babies using sign language. Hope that helps? Thanks bye. 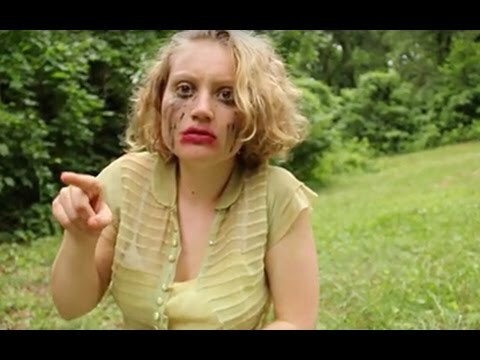 Ophelia's Madness Monologue in ASL version by Miranda Medugno. The scenario is in Hamlet, ACT IV, SCENE V.
I couldn't have done this without two different groups: Gallaudet Theatre Arts Department's Hamlet Production and the translation team in 2012. 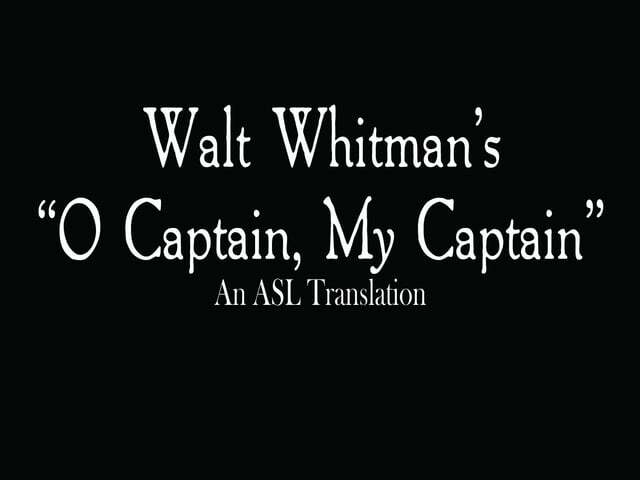 Gallaudet University's ASL 709 course, which focuses on Media that heavily includes the film shooting and editing. The director for Hamlet was Ethan Sinnott and the teachers for ASL 709 was Wayne Betts, Jr., Brandon Hill, and David Davenport.